European Games: Sports or politics competition? The Azerbaijani President's Aide for Public and Political Affairs, Ali Hasanov, is sure that this malicious campaign which is led by some organizations and media representatives, is a method of pressure to the countries which has its independent policy and does not bow down to someone’s will. Mr Hasanov is sure that the supporters of this campaign will not achieve their aim - to turn Azerbaijan from its independent policy. Azerbaijan is currently hosting the first ever European Games. Finally, continent scaled games, such as the Pan-American or Asian games have also arrived in Europe. As it is the first Europe-scaled sports games, all attention of the international community is focused both on the games as well as the host country: Azerbaijan. These mainly involve internal affairs of Azerbaijan, which the international community is increasingly sensitive to. More specifically, human rights, arrest of certain journalists, and activists, are being discussed widely. However, the western media generally do not want to speak about details of these cases, instead periodically repeating certain accusations. Officials of Azerbaijan have repeatedly stated, that everyone should answer in front of the law for their crimes. Professional activity, and political views can not bring any privilege to the defendants. Indeed relating this to ‘western’ standards – one of the main signs of civil and modern society is – equality of everyone in front of the law. According to Azerbaijani media, some time ago, their representatives widely discussed the planned attacks from Europe and the USA, which is considered to be “from one hand”. They maintained, that information from concrete documents showed that on January 15-16 in 2015 in Prague, the first outlines of an attack campaign on Azerbaijan were worked out, and that an International media support organization from Denmark was defined as the coordinator. İn parallel, the same campaign in the USA, was allagedly assigned to National Endowment for Democracy (NED). The Azerbaijani media claim that different foundations of the USA and Europe, such as the foundation of Soros and USAID were defined as the supporters of this project also. That’s why these types of inflammatory articles from different western media organizations, which defend the same theses, are being met in Baku as well as internationally with irony. Azerbaijani officials have repeatedly stated that these types of organizations, which have “malicious claims against Azerbaijan”, never mention and just ignore the fact that as a result of the Nagorno Karabakh conflict, more than 1 million Azerbaijani refugees have left their houses and their rights are breached. That is why most of the Azerbaijani people consider these ‘deaf and blind’ media organization’s positions similar to the position of Armenia. After all, introducing Azerbaijan in a bad image is in the interest of the Yerevan. That is why, according to Azerbaijani authorities, there is certainty that both in this malicious campaign and in internal public and political issues, public community support them. As proof, they offer that United opposition parties which call themselves a “National council”, cannot gather enough people to their meetings which are coordinated with the authorities. But there are enough people who have an objective approach to European Games as a sporting event. Professional observers during their monitoring say that, there are plenty of independent media organizations that have published enough brave articles against the authorities, made sharp accusations against them and even sometimes caused humiliation. These media neither closed, nor were their journalists arrested. What are all these malicious accusations aiming to achieve? After all, Azerbaijan is hosting a sporting event, not a political forum or a summit. Azerbaijan wants Europe to have a splendid sporting holiday, but in response, is attacked. 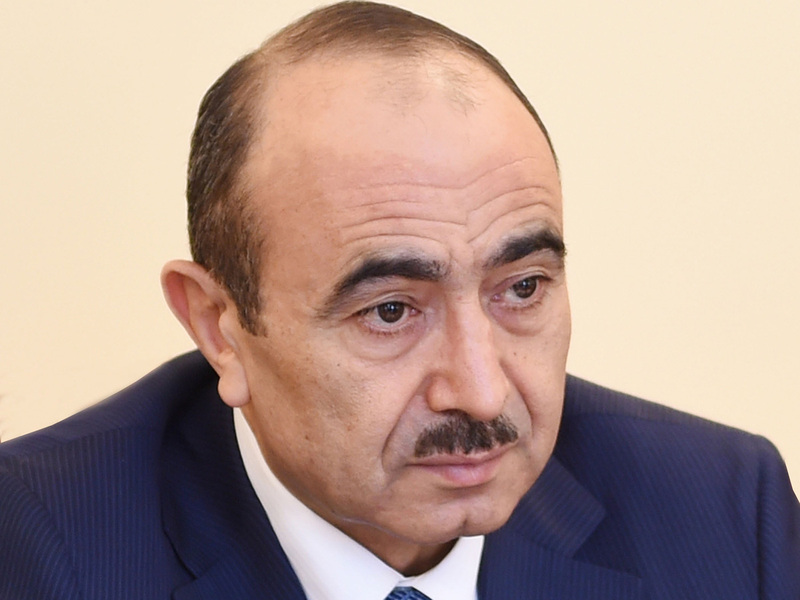 The Azerbaijani President’s Aide for Public and Political Affairs, Ali Hasanov, is sure that this malicious campaign which is led by some organizations and media representatives, is a method of pressure to the countries which has its independent policy and does not bow down to someone’s will. Mr Hasanov is sure that the supporters of this campaign will not achieve their aim – to turn Azerbaijan from its independent policy.